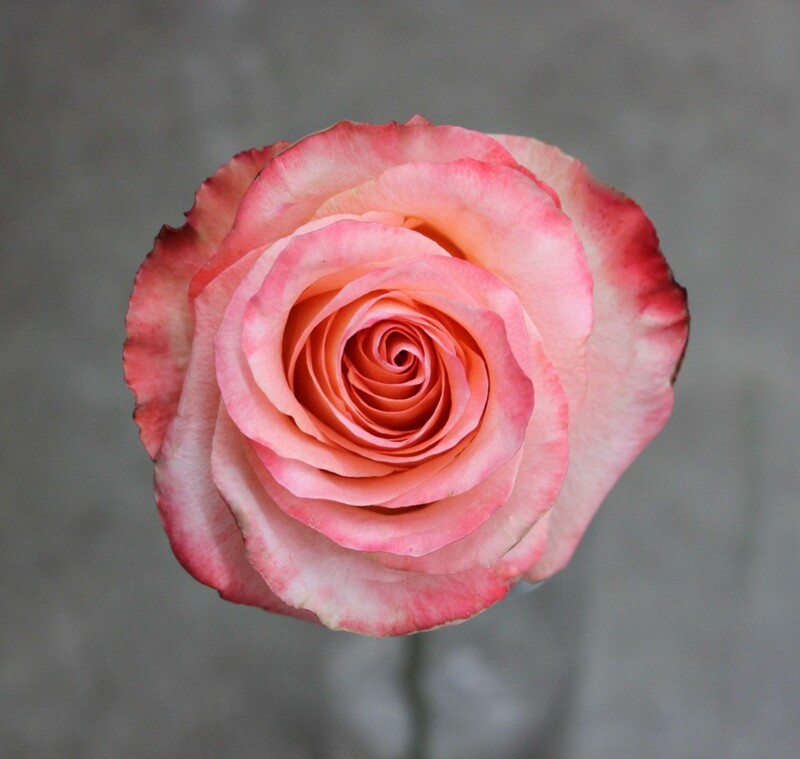 Peach Aubade is a bi-colored rose because of it’s soft pink/peach petals containing shades of darker pinks on the edge of the petals. 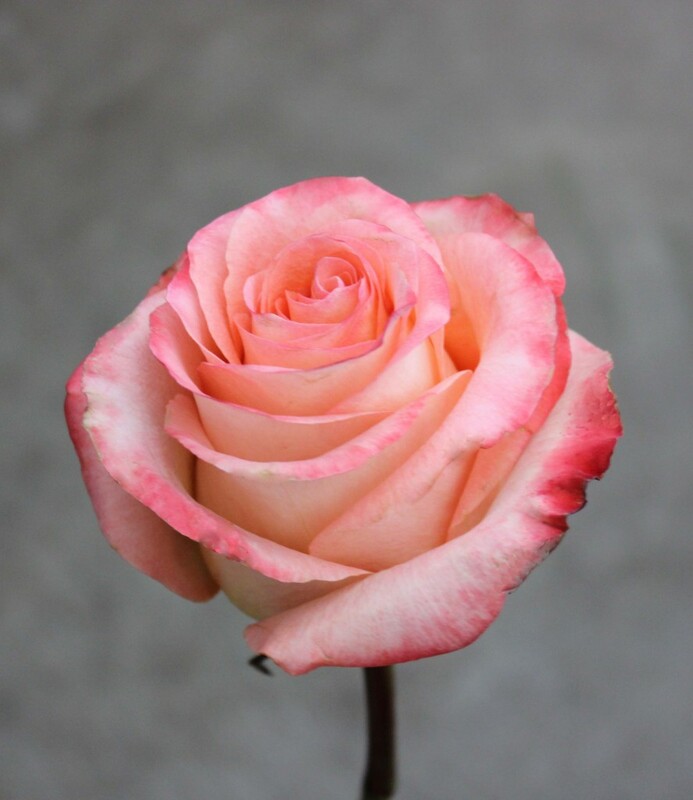 This rose has very few thorns and is slightly scented. 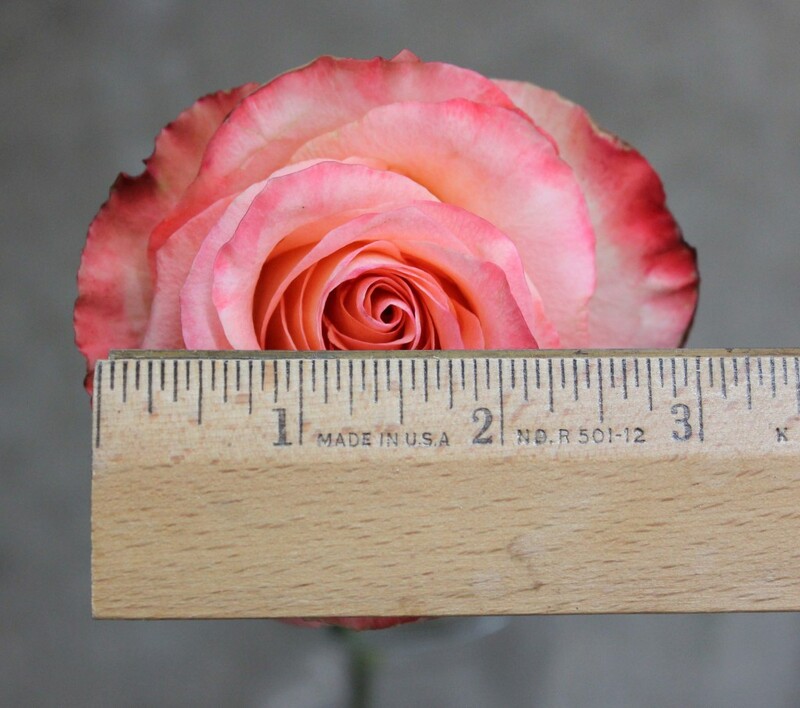 Peach Aubade measures to about 3 inches in diameter.